When the Tax Cuts and Jobs Act was signed into law on December 22, 2017, it upended the U.S. tax code in a lot of ways. The dust is still settling, and that can make it a little challenging to plan for your 2018 taxes. One big change affects the Child Tax Credit. No, it wasn’t eliminated by the TCJA as several other tax perks were. It was improved upon somewhat. New rules apply as you move forward into 2018, at least through 2025. The tax return you’ll file in 2018 for the 2017 tax year is unaffected by the TCJA. Here’s how the old and the new Child Tax Credits compare. The maximum child tax credit topped out at $1,000 per child through December 25, 2017. The TCJA increases that go up to $2,000 per child, but this doesn’t necessarily mean that all qualifying taxpayers will receive this much. Certain terms and conditions can whittle away at these caps in both years. 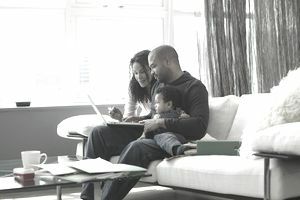 One aspect of the Child Tax Credit has not changed—you must have a qualifying child dependent and the rules for exactly who qualifies are somewhat intricate. The child cannot yet have turned 17 by the last day of the tax year, and he must be related to you. The definition of “related” in this case is broader than you might expect. The list of qualifying children includes biological and adopted children, stepchildren, foster children living in your care, siblings, stepsiblings, or a child of any of these individuals. If your qualifying child has any income of his own, he cannot pay for more than half his own support needs during the tax year. In most cases, he must have lived with you, in your home, for more than half the year. He must be a U.S. citizen, a U.S. national, or a U.S. resident alien. He must have a Social Security number, and you must provide it to the IRS when you file your tax return and claim the credit. And you must claim your child as a dependent on your tax return. You can also claim a personal exemption for your qualifying child for the 2017 tax year when you claim him as a dependent. But the TCJA eliminates personal exemptions from the tax code beginning in 2018. You must list him to qualify for the Child Tax Credit, but losing the exemption can offset any gain you might realize from claiming the credit. The Social Security number requirement is something of a new development. It used to be that you could claim the Child Tax Credit retroactively in a later year if your child did not have a Social Security number by the time your tax return was due. That provision has been eliminated for 2018. The Center on Budgeting and Policy Priorities estimates that this will eliminate as many as 1 million undocumented children. Beginning in 2018, you might also be able to claim an additional $500 credit for your non-child dependents. The TCJA calls this a “family credit,” and all the old rules for claiming adult dependents on your tax return still apply. They’re largely the same as they are for qualifying child dependents, covering those who don’t meet the age requirement. The Child Tax Credit was essentially a nonrefundable credit through 2017. If you owed the IRS, it could reduce or eliminate your tax debt, but any portion of the credit that might have been left over would just disappear. To balance this, the Internal Revenue Code provided for an Additional Child Tax Credit that was potentially refundable. The TCJA eliminates the Additional Child Tax Credit … sort of. What the new law does is consolidate these two 2017 tax credits—the Child Tax Credit and the Additional Child Tax Credit—into one. Beginning in 2018, up to $1,400 of the $2,000 Child Tax Credit can be refundable. If any part of your credit is left over after eliminating your tax debt, the IRS will send you a refund of up to $1,400. And that $1,400 can be expected to increase a little in future years because the new tax law indexes it to keep pace with inflation. All this is subject to more rules, of course. You must have earned income, such as from a job or self-employment, to qualify for the refundable portion. Investment income won’t cut it — that’s considered “unearned.” Unemployment benefits, public assistance, and worker’s compensation benefits are also considered "unearned." And even if your income qualifies, you won’t necessarily be receiving that entire $1,400. Remember, the TCJA says the refundable portion of the credit is up to this amount. The credit is equal to 15% of your earned income over $2,500. A taxpayer would need earned income of approximately $12,000 a year to qualify for and receive the full $1,400 refund: $12,000 less $2,500 is $9,500, and 15% of $9,500 works out to $1,425. At $12,000 in earned income, the taxpayer would forfeit that extra $25 because the refundable portion of the credit caps out at $1,400. But that $2,500 earned income requirement is an improvement. Through 2017 while the Additional Child Tax Credit still applied, the threshold was $3,000—$500 more, putting it a little further out of reach for very low-income families. Even at $2,500, some of the neediest American families won’t qualify for the refundable portion, or at least they won't qualify for the entire refundable portion, if they have not earned an income of at least $12,000 or so. A family with earned income of just $10,000 would receive only $1,125 under the new law. A family getting by on some form of unearned income would receive nothing. The Child Tax Credit is also subject to phase-outs for taxpayers who earn too much money. When their incomes reach a certain point, the overall credit is reduced, and it’s eliminated for those whose incomes surpass an upper limit. The TCJA changes this rule, too, in favor of wealthier families. As of 2018, the phase-out begins for married taxpayers at a pretty significant $400,000. As of 2018, the phase-out begins for married taxpayers at a pretty significant $400,000. They can earn this much without losing any of their Child Tax Credit. The phase-out begins for all other taxpayers at $200,000. Each $1,000 earned over these amounts reduces the Child Tax Credit by $50. These phase-outs apply to the Family Credit as well. Compare this to the existing Child Tax Credit rules in place for the 2017 tax year. The beginning phase-out limit for married taxpayers filing jointly was just $110,000 in 2017. It was a mere $55,000 for married taxpayers who filed separately, and $75,000 for all other taxpayers. These income thresholds are based on your modified adjusted gross income or MAGI, not necessarily your entire earnings. Many taxpayers’ MAGIs are the same as their adjusted gross incomes, which can be found on line 37 of your Form 1040 tax return. You can calculate your MAGI by adding back certain deductions you might have taken to arrive at your AGI, such as for IRA contributions, half the self-employment tax, or rental losses. Overall, the more you earn, the more you’ll benefit from this tax credit going forward—at least until your income tops $200,000 or $400,000 and through 2025. And if you have no earned income at all, the Child Tax Credit can't help you.